How much does a Phase II Environmental Site Assessment in Cleveland, OH Cost? 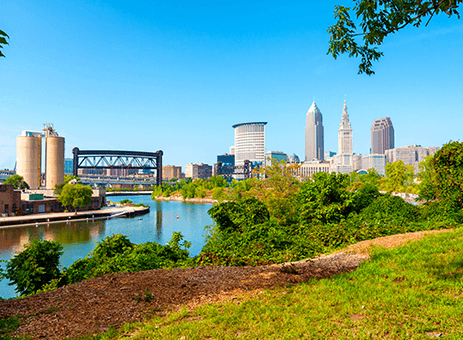 How much does a Phase II Environmental Site Assessment in Cleveland, Ohio Cost? If your project is need of a thorough environmental assessment you’ll need to plan for a Phase II Environmental Site Assessment (ESA) in Cleveland, OH. How much does one cost? To answer this question, project planners must understand what affects the cost of a Phase II ESA in Cleveland. The budget for your ESA in Cleveland must take several factors into consideration. The use and history of the subject site, the size of the site as well as features such as soil type, depth to ground water, etc all play part in the overall cost of a Phase II ESA in Cleveland. Which company you select to complete your Phase II also largely determines the final total. Following is an overview of these variables to clarify what you can expect for your ESA cost in Cleveland, OH. A Phase II ESA involves an assessment of the subsurface soils. Understanding drilling/sampling techniques of the different soil types and bedrock in the Cleveland area is important. Having local knowledge of not only the geology of the Cleveland area but also the historical land uses of properties across Cleveland is a huge advantage of developing an accurate and efficient Phase II ESA scope. What does all this mean for ESA cost? It largely depends on the company chosen to perform the ESA. The environmental service should be familiar with the soils found in the Cleveland, OH area to properly collect and analyze the necessary samples. Since part of the project cost is determined by how many samples are collected and the type of chemical analysis performed, it is important that sampling an analysis is carefully planned. A thorough Phase II ESA begins with representative sampling that is precisely planned in advance. This allows the company to obtain an accurate, representative assessment of contamination levels without adding unnecessary costs. A second assessment tool used for a Phase II ESA is ground water monitoring. Ground water monitoring is conducted to assess the ground water quality at the subject site and also to measure features such as water levels and flow direction. In most cases, the environmental professional will plan to utilize soil boring locations drilled to collect soil sample for ground water well construction. The key for this planning is a familiarity with typical Cleveland, OH soils/geology, underlying ground water and historical land uses. The more familiar a company is with the top cost factors of soils sampling and monitoring wells, the better service they can provide for this aspect of your ESA. Typically, five factors influence the cost of this monitoring. Well depth: How deep must the wells be? Some require a depth of 15 feet, while others must be closer to 60 feet deep. Logically, deeper wells are more expensive to drill and construct. Surface structure: The composition of the subsurface determines the type of equipment used to drill. The high clay content of many areas of Cleveland, OH can require advance technology which adds cost to your project. If the area offers less dense clay or sand and silt, the soil boring can be accomplished more quickly, resulting in lower costs. Again, a familiarity with the local soils will help a service accurately determine what equipment will be needed for a particular project. Site access: Situated near Lake Erie, Cleveland, OH lies on the irregular bluffs that run parallel to the lake. Rising quickly from the shore, the topography of Cleveland is largely determined by this nearby body of water. To determine the cost of the ESA, the environmental professional must determine if the Cleveland site is easy or difficult to access. Are there structural or topographical challenges to overcome? Environmental services must determine what types of drill rigs and methods will be used depending on the site terrain and what underground features must be located. Area of concern: If a large area of Cleveland, OH must be assessed, a greater number of soil borings and ground water wells should be planned to gain a representative characterization of the subject site. The larger the area, the greater the number of assessments needed. Chemical analysis: A significant part of the Phase II ESA is the chemical analysis of the soil and ground water. These media must be analyzed by an accredited environmental laboratory. The environmental service should provide the Chemicals of Concern required for analysis from each sample. The testing should also include Quality Control samples and analysis of soil and ground water in Cleveland, OH. Once the laboratory analysis is complete, the environmental professional will prepare a written report. The complete Phase II ESA report will include an examination of all data collected including chemical analysis and subsurface soils/ground water conditions. The environmental professional will provide an Opinion/Conclusion as to the overall condition of the Cleveland, OH subsurface soils and groundwater. If detected, the area of concern will be delineated, and the environmental professional will compare pollutant concentrations to appropriate comparative contaminant levels for Cleveland, OH. When considering the cost of a Phase II Environmental Site Assessment in Cleveland, OH, it’s important to consider the value of local area knowledge. A strong familiarity with the soils/geology, regulations and the unique Cleveland historical land uses allows an environmental professional to provide more cost-saving measures and greater accuracy in testing and reporting. It is essential to partner with a company that offers high quality, reliability and experience in Phase II ESAs in Cleveland, OH. Why Choose ENVi Environmental for Your Phase II ESA in Cleveland, OH? Not all environmental firms are created equal. Choosing one based solely on the cost of your Phase II Environmental Site Assessment in Cleveland, OH can expose your company to unnecessary risk. Instead, choose a company that offers more than 30 years of experience in Cleveland. ENVi Environmental is equipped with a complete portfolio of services to meet the needs of complex projects in Cleveland. Your Phase II ESA report will offer detailed analysis and comparison to risk-based standards based on our comprehensive knowledge of the regulatory requirements in Cleveland. 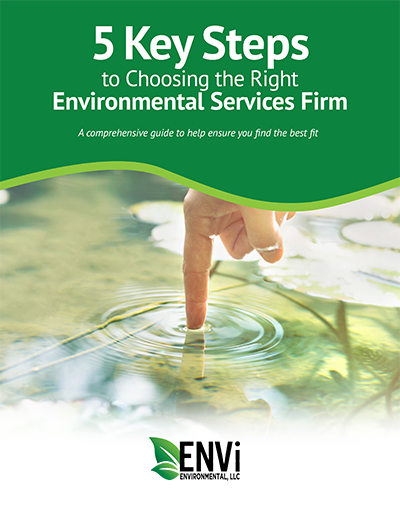 Minimize your environmental risk and maximize your investment by partnering with the professionals at ENVi Environmental. Contact our team today to find out more about our Phase II Environmental Site Assessments in Cleveland, OH and how they can benefit your business.